Can you really experience the true Bedouin way of life in a 4×4 jeep? 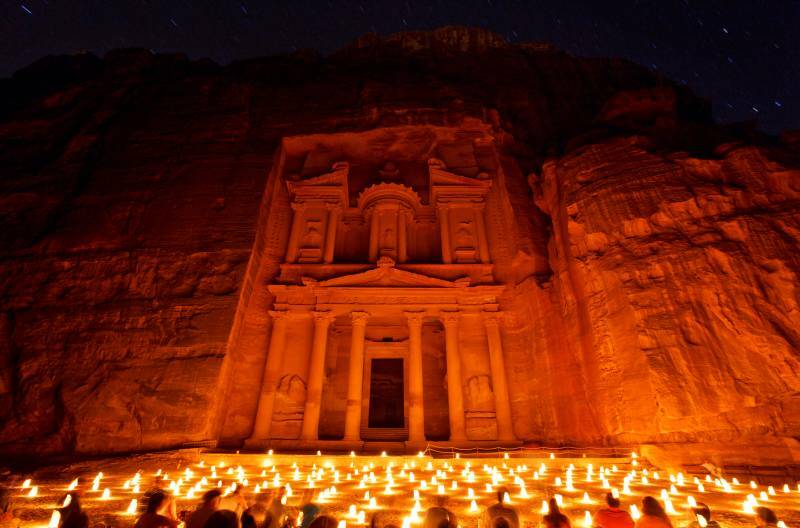 Is it possible to soak up the ancient culture of the Wadi Rum in just one night? Our Camelback tour has been specifically designed for those that think not. You’ll still have the opportunity to visit all of the most popular sights, including Petra and The Dead Sea, but you’ll be spending the majority of your trip exploring the Wadi Rum desert as it was intended to be seen – on a 4-day camel safari. Our tailor-made holiday package will immerse you in the traditional Bedouin way of life, camping and cooking with local people and hearing their many tales under perfect starry skies. 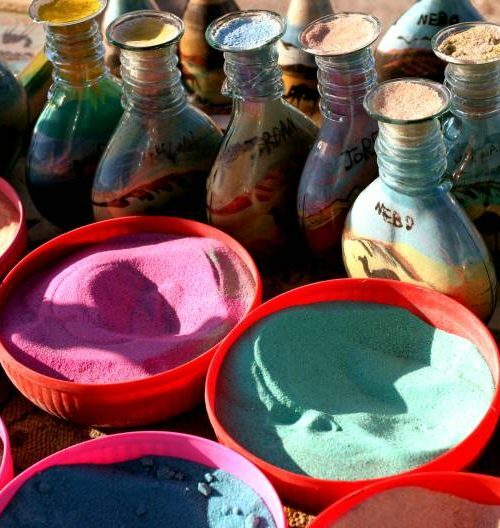 This trip separates you from the tourists who have been to Jordan and those who have truly discovered it. 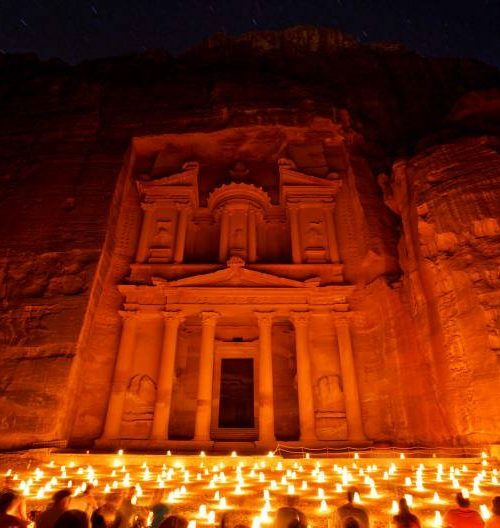 You’ll have a full day to explore Petra, one of the seven wonders of the world. On this day you’ll have a local English-speaking guide included for 2-3 hours. You’ll enter through the Siq and visit the Treasury, Street of Facades, Theater, Colonnaded Street and all the sights. We suggest lunch at the Basin Restaurant in Petra, which is operated by the 5* Petra Crowne Plaza Hotel or the local restaurant the Nabatean Tent Restaurant. You will still have time to visit the Monastery and/or the High Place of Sacrifice today. It is a lot of climbing but definitely worth it for the views! Optional activities for today include: Petra by Night (each Monday, Wednesday and Thursday evening), Petra Kitchen cooking course, Local Turkish Hammam). After breakfast you’ll drive to the Wadi Rum Visitors Centre. Our representative will meet you here and he will pay your entry fee tickets. After that you’ll start the camel safari in the afternoon. 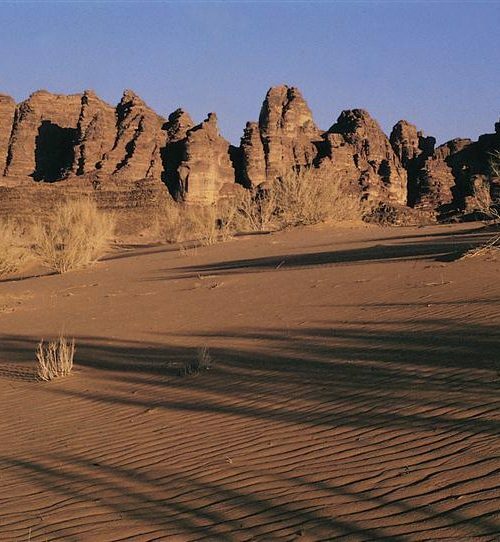 Over the next few days you will be exploring Wadi Rum by camel. During the camel safari you will visit the following sites in Wadi Rum: Lawrence’s Spring, Khazali Canyon, Sand Dunes, Inscriptions, Lawrence’s House, Burdah Bridge, Um Froth Bridge and many other sights. Every night you will enjoy private camping in the middle of the desert. Dinner, lunch and breakfast are included and will be freshly prepared by your chef and your luggage will be transferred by jeep to each private camping place. 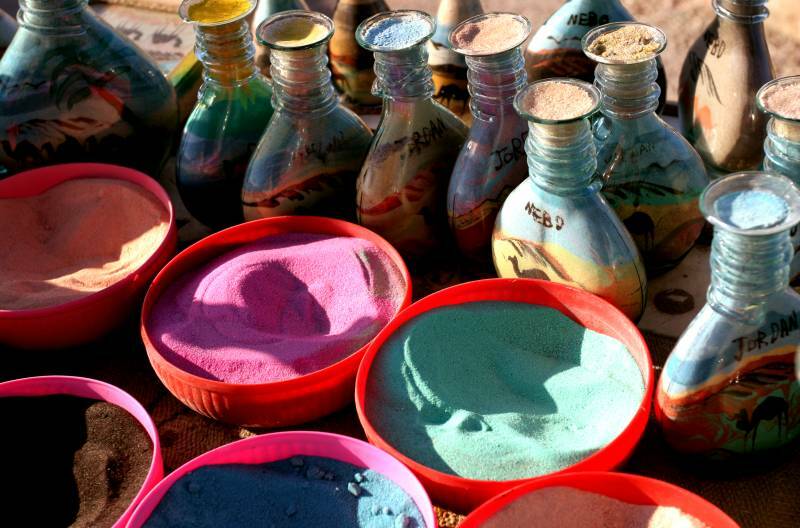 Experience the Bedouin life! 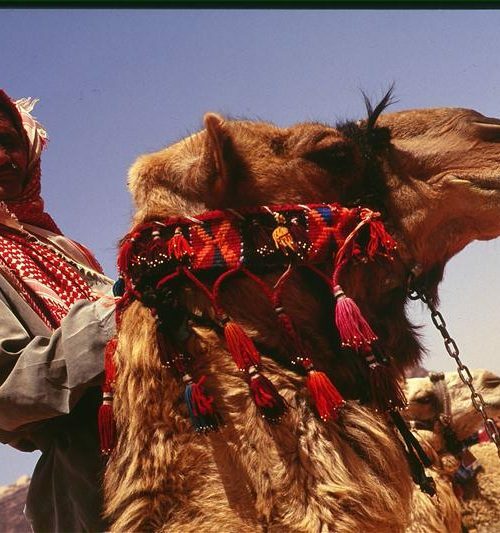 Enjoy 3 full days of camel safari in Wadi Rum with a local Bedouin guide. Breakfast, lunch and dinner are included every day! This will be your last day of camel safari, so after lunch in the middle of the desert say goodbye to the wonderful scenes of Wadi Rum. 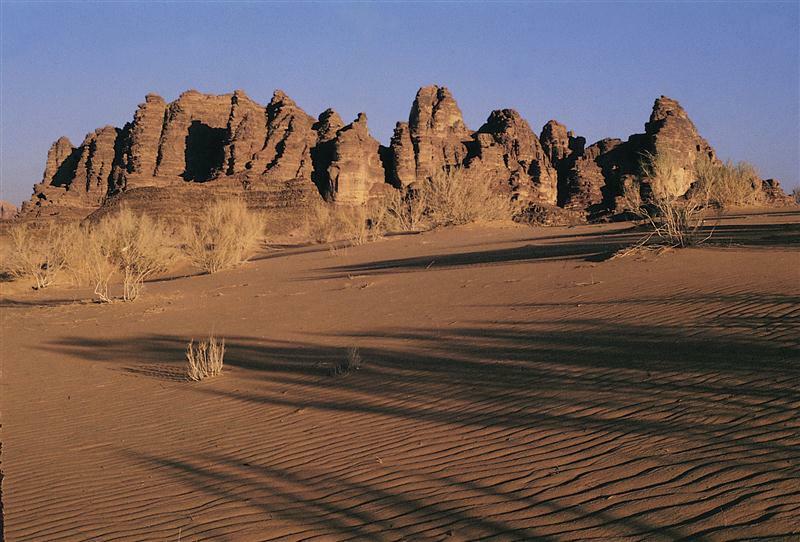 You will be taken to Wadi Rum Village where you will meet your driver again. 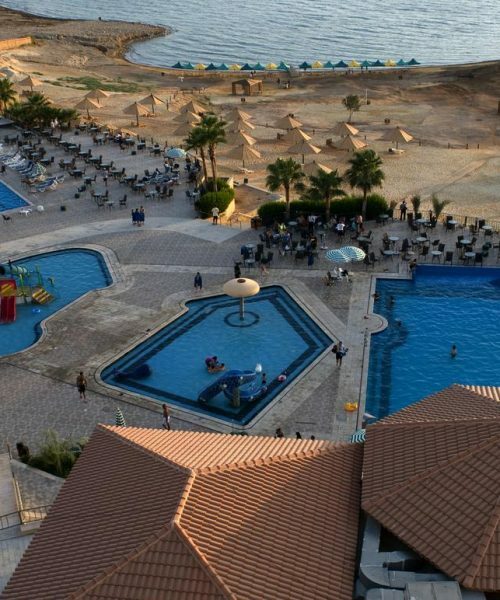 You’ll be transferred to the 4*Dead Sea Spa Hotel for an overnight stay, and to wash away the desert sands at this beautiful resort. You’ll have a full free day at the 4*Dead Sea Spa Hotel .The Dead Sea is located on the lowest point of the earth’s surface. 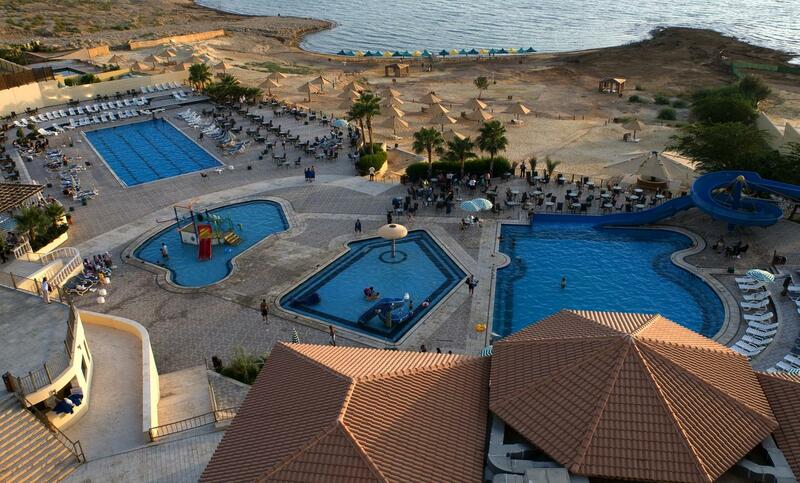 You’ll spend the day floating in the salty waters, trying out the famous mud and relaxing at the hotel swimming pools. Or why not try out a pampering treatment at the Spa? Optional: From 1st of April until 31st of October Wadi Mujib is open. You can enjoy a hike in the fun water Siq Trail, which takes 2-3 hours. Day 10	- Ahlan wa Sahlan! You’ll be transferred to the airport for your departure. 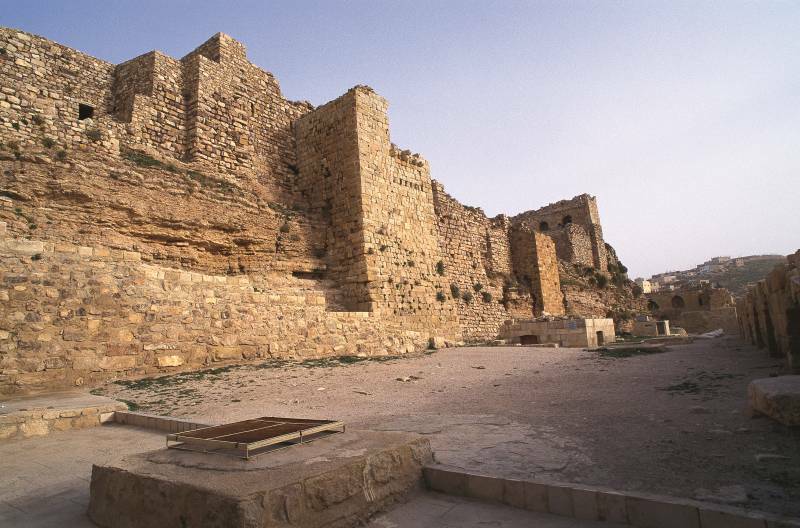 You’ll need to leave the hotel 3 hours in advance (2 hours for check-in and less than 1 hour to drive from the Dead Sea to Amman Queen Alia Airport). Day 1: Airport representative upon arrival at the airport in Amman to assist with the visa, visa cost is included. Day 1 – 10: All transfers with a car (2-3 persons) or minivan (4-6 persons) and English speaking driver throughout the whole program. 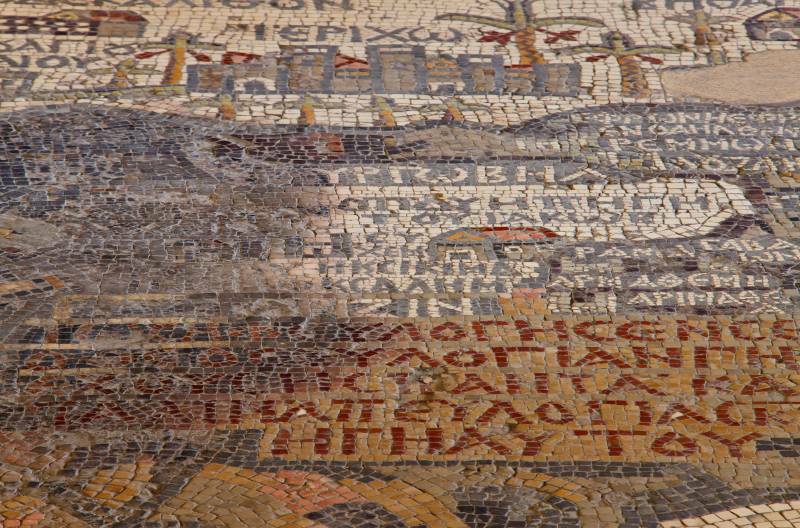 Day 1: 1 Night at 4*Grand Hotel in Madaba, including bed breakfast. 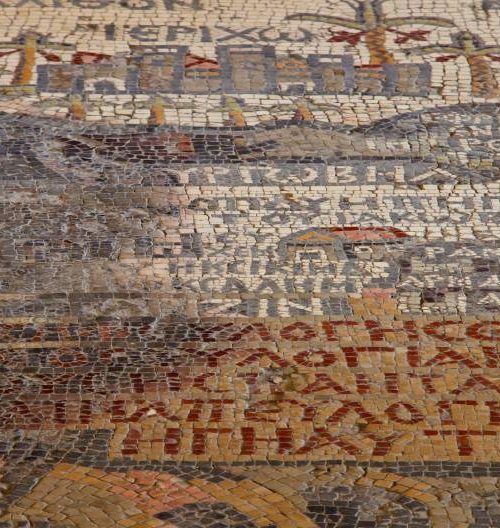 Day 2: Visits to the St. George Church in Madaba, Mt. 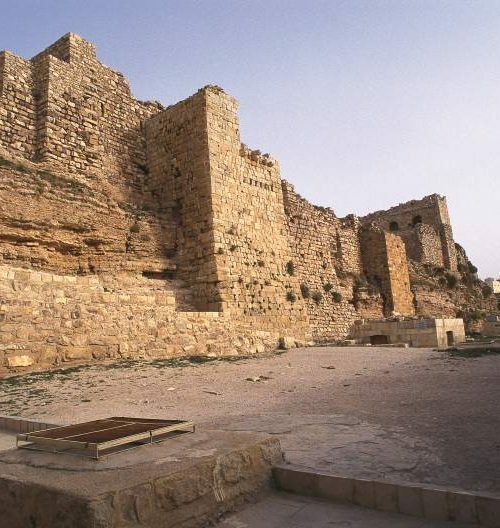 Nebo & Karak Crusaders Castle; entry fee tickets included. Day 2: Time permitting a visit to Little Petra (free entry). Day 3: Visit to Petra including one day entry fee tickets and a private local English-speaking guide (2-3 hours). Day 2 & 3: 2 Nights at the 3* La Maison Hotel, including bed and breakfast. Day 4: Entry fee tickets for Wadi Rum are included. Day 4, 5, 6, 7 & 8: A total of 4 full days Camel Safari in Wadi Rum (afternoon on day 4; 3 full days on 5, 6, 7; morning on day 8). 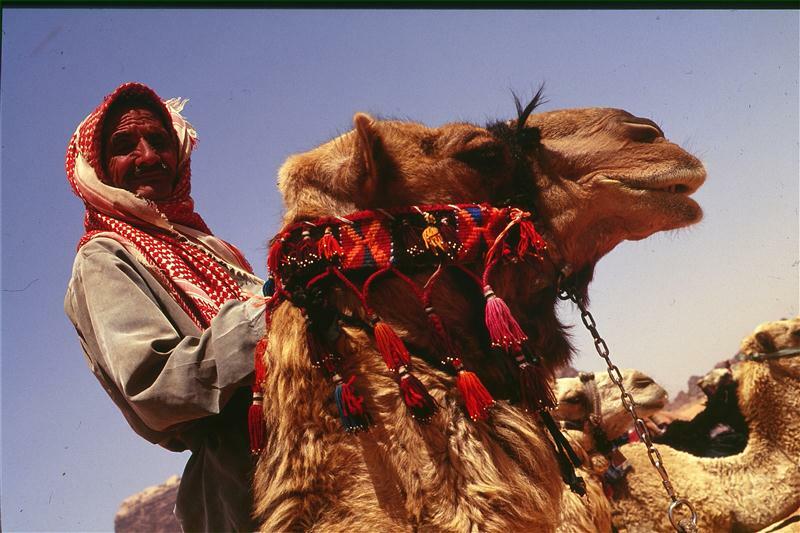 Including one camel per person, a local Bedouin English-speaking guide with camel, a chef for all meals (breakfast, lunch and dinner) that will be freshly prepared each day in the desert, a jeep for the luggage, camping equipment, tents, mattresses etc. Water and tea are included for the camel Safari. Meals included during the camel safari: Day 4: Lunch & dinner. Day 5, 6 & 7: Breakfast, lunch & dinner. Day 8: Breakfast & lunch.